Are you creative and innovative? BMW is holding a contest aimed at innovating a car trunk, within three categories: variability, restraint of luggage system and coverage of the luggage compartment. The aim of the contest is to improve the luggage compartment of BMW. It is possible to develop a solution within each of the categories. The creative process within the community will ideally result in the development of new ideas, an active integration of creative members and the recruitment of inspiring members for the innovation workshop with BMW. This is the third open innovation project which is launched within BMW Group’s latest innovation approach. 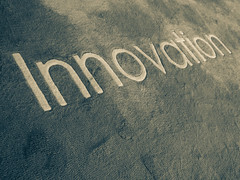 If you or anyone you know has a new invention idea and needs help, please contact us at New Product Consulting.